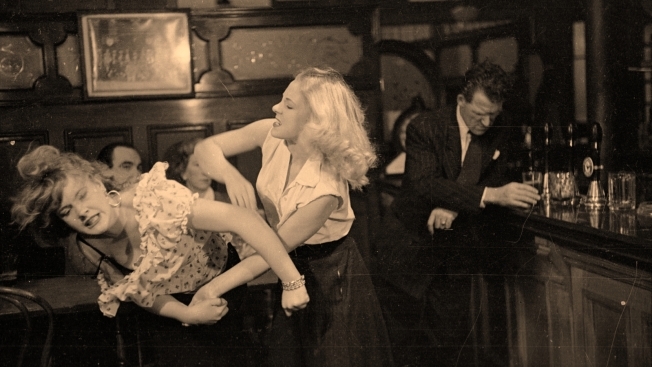 Bar brawls are as old as St. Patrick's day itself. Tonight belongs to St. Patrick, and you know what that means. No, it's not time to go to church -- most folks are going to be hitting up the bars, either one by one via pub crawl, or just hitting up their favorite and refusing to leave. And with so many people playing Irish tonight and drinking until they can't function humanely anymore, a few of you are sure to run into the unruly leprechaun who doesn't know how to hold down his or her liquor. Pair that with an exaggerated faux-Irish temper as they try to fit the fighting stereotype and there is bound to be a bar brawl or two (or four if your vision is blurred). So, what do you do if you get stuck in a bar fight? Well, our friends at Esquire have just the balm to sooth your St. Patty's brawl from Geoff Gibbs, a former bouncer turned safety guru. His step-by-step guide is sure to keep you out of trouble with tips like: "Never make assumptions. You're dealing with intoxicated people who have nothing better to do than act like jackasses. So be ready for everything. Even vomit." And the very Zen: "Always stay calm. Let your inflection and body language defuse the tension." Do yourself, and your pugnacious friends, a favor and bone up before you go out tonight.